Brand new to the market, this spacious studio is in the process of being beautifully renovated. The new kitchen will have natural maple cabinets, granite counter tops and stainless steel appliances. The Bathroom will sparkle with white subway tiles and a new tub. The apartment has been designed to give maximum living space, with a combination kitchen/living room and a separate sleeping area. This is a perfect pied-a-terre or first apartment! This 5h floor unit is in a historic pre-war elevator building. It is in the midst of the most exciting area on the Upper West side, just steps away from the world of gourmet eating where one never has to cook again. 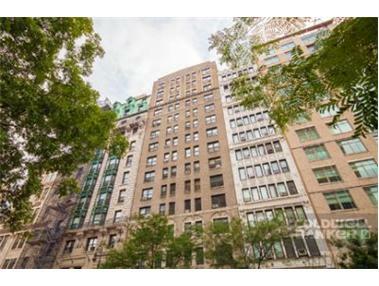 Situated between Columbus and Amsterdam Avenue, you are within walking distance of Central Park and public transportation. Built in 1915 by Buchman & Fox, this 12 story elevator building?s amenities include a live-in superintendent and laundry in the basement. There is a privately-owned gym and pilates studio which offers a discount to residents. Dogs and birds are not permitted. The sale of this unit is NOT subject to Board Approval.